This jugged piglet is prepared traditionally, in the Rhône delta, with red wine and blood. The tender meat is enhanced by a rich and aromatic sauce. Serving suggestion : Heat gently, and serve with boiled potatoes and a Merlot 2004, Vin de Pays des Cévennes. 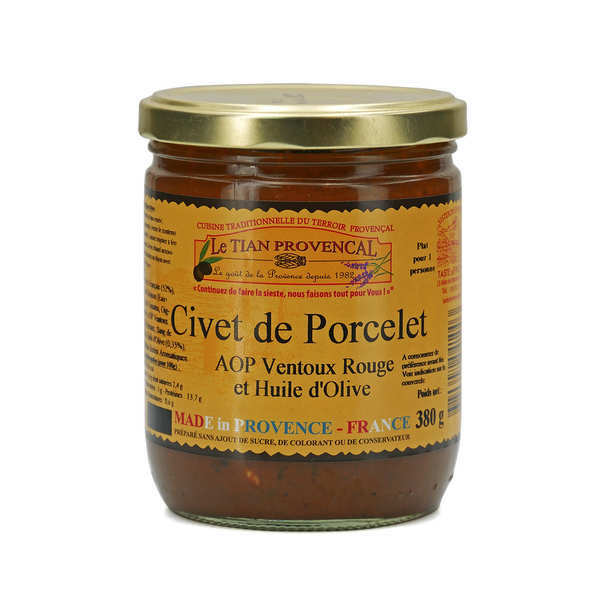 pork meat (50 %), tomato, red wine, pork blood, peanut oil, salt, pepper, garlic, culinary herbs from Provence.